Lenovo is pushing this update out in the next few weeks, so keep an eye out for that. 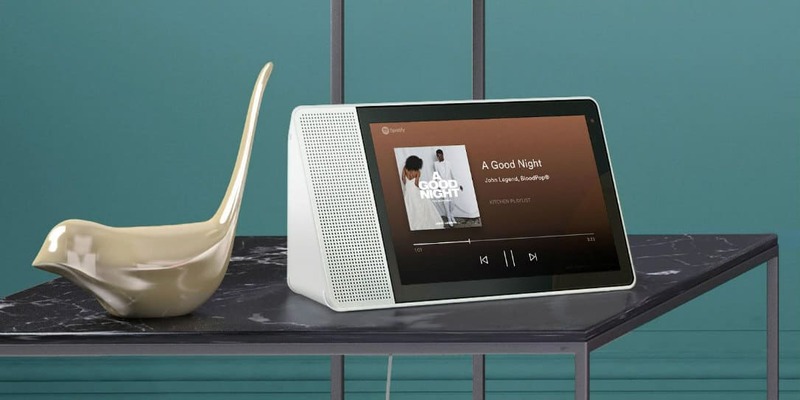 If you’re an owner of Lenovo’s Smart Display or JBL’s LINK VIEW and don’t have a need to get Google’s Home Hub but have been wanting the features of the Home Hub such as Live Albums from Google Photos or Home View, you’re in luck because Lenovo is rolling out this update their smart display. Multiroom Audio – you can add your Smart Display to a speaker group and play music throughout the house. Live Albums from Google Photos – your Ambient Mode will always show off the best photos of your favorite people and pets without you having to curate them. It will also make sure to pick your best photos, so that receipts, screenshots, duplicates, and blurry or sensitive photos will not appear on your Smart Display. Nest Hello Doorbell – your Smart Display will now show who is at the door when someone rings, and allows you to send quick responses. Home View – you can see and control all of your smart home devices in a single dashboard by swiping down from the top edge of your Smart Display. Even though Google didn’t specify as to when this update would be pushed out to other OEMs, it’s nice to see that it’s starting out now than a later time. Lenovo is pushing this update out in the next few weeks, so keep an eye out for that. JBL hasn’t mentioned anything yet, but there could be an update pushed out eventually. What Are The Benefits Offered By International Travel Insurance? Have You Considered Travel Insurance? Do Childcare Facilities Need Employment Practices Liability Insurance?